Below is examples of how our structures are constructed and the difference between "Sheds and Cabins". 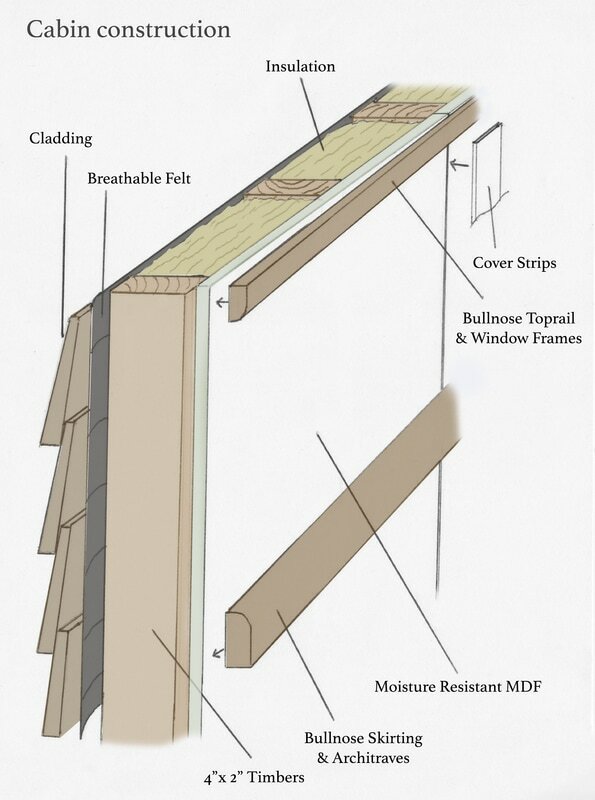 This guide is to be used for "Fully Built" structures and not "Self Build Cabin Kits". Constructed out of pressure treated 3"x2" timber and clad in pressure treated featheredge cladding. Rough Price guide £500 psm (per square meter). 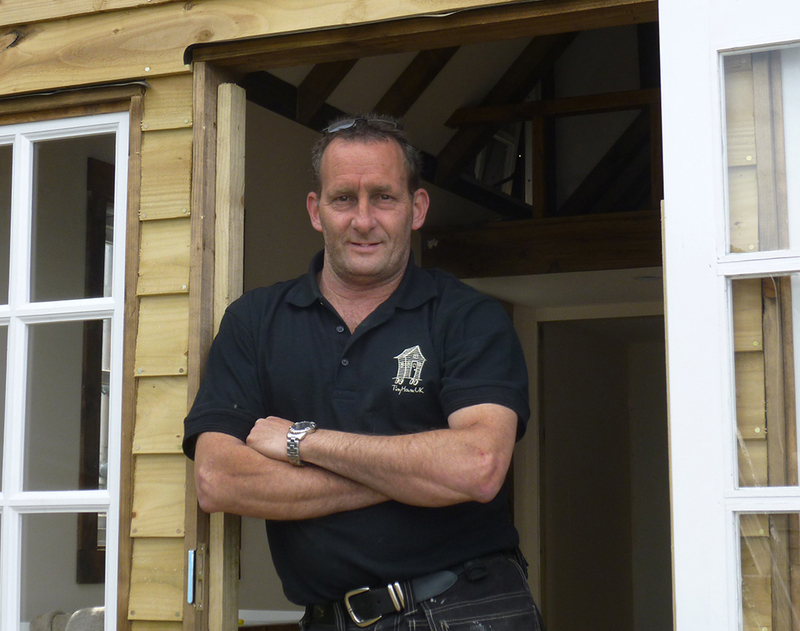 Constructed with pressure treated 4"x2" timber, insulated, weather proofed, paneled with finishing trims. Rough price guide £1,100 psm (per square meter). To give you a rough idea of what our bespoke sheds and insulated cabins cost to build in your garden, use the slide scales below. To find the Square Meter Area, Multiply the length in meters by the width in meters. ie: 6 meters x 4 meters = 24 square meters. Work out the square meter area. 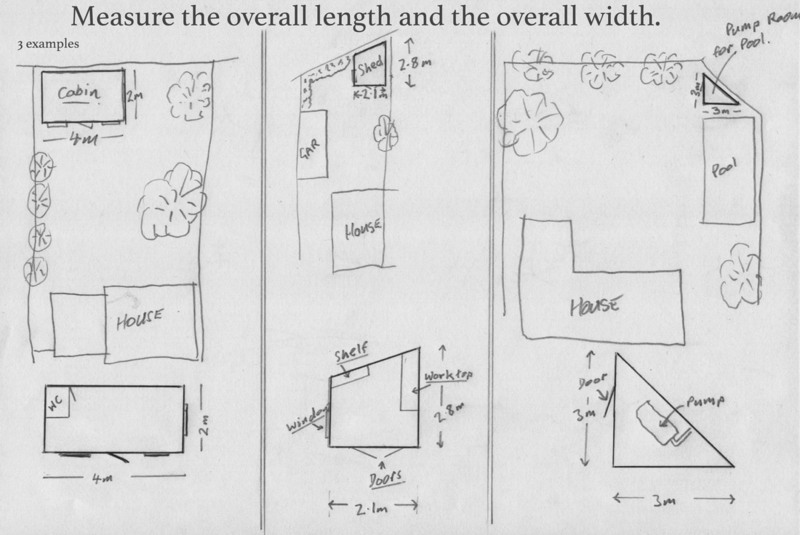 If you are sending us a plan, a rough sketch like these are fine. This method of calculation is a rough guide and must not be used as an overall quote figure.